Need help getting your indoor spaces to flow and connect with your outdoors? 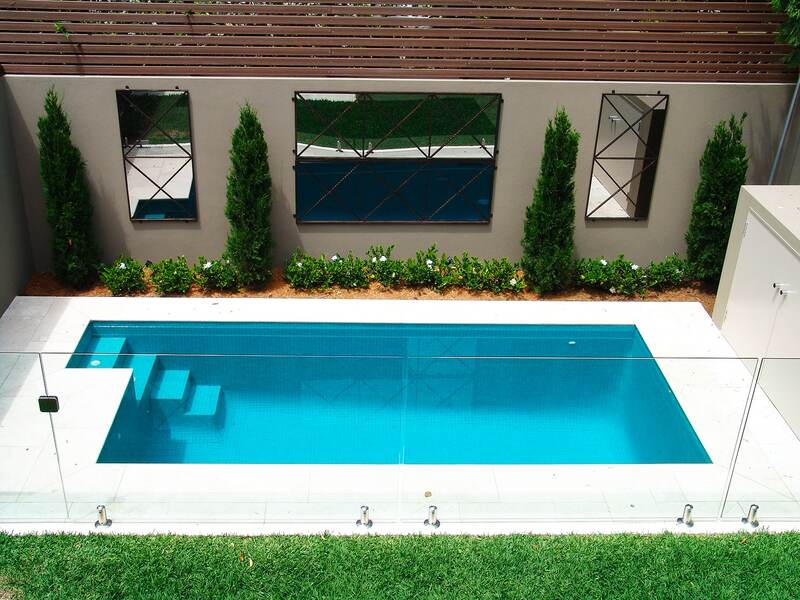 Using mirrors in those inbetween spaces really helps to link the two areas. 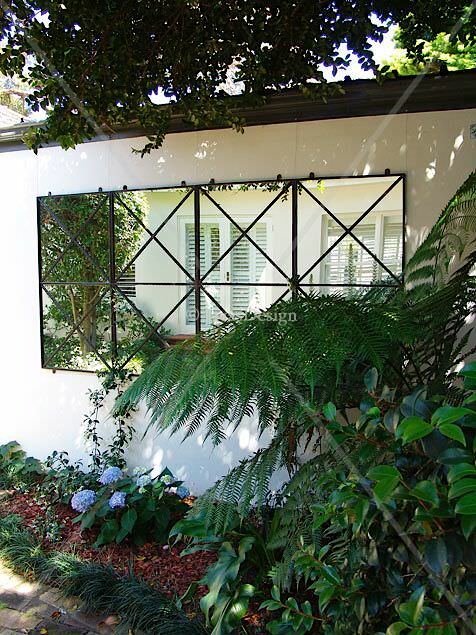 From the inside you see the garden reflected in and from the outside catch glimpses of the inside along with your garden features. 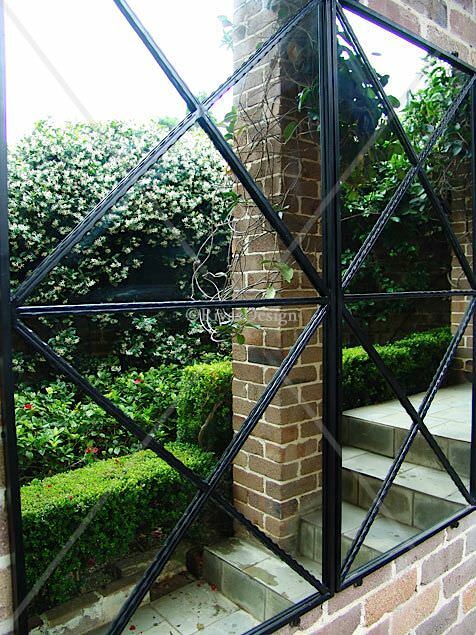 Need a great feature at your front door, on a courtyard wall or somewhere dark in your garden. 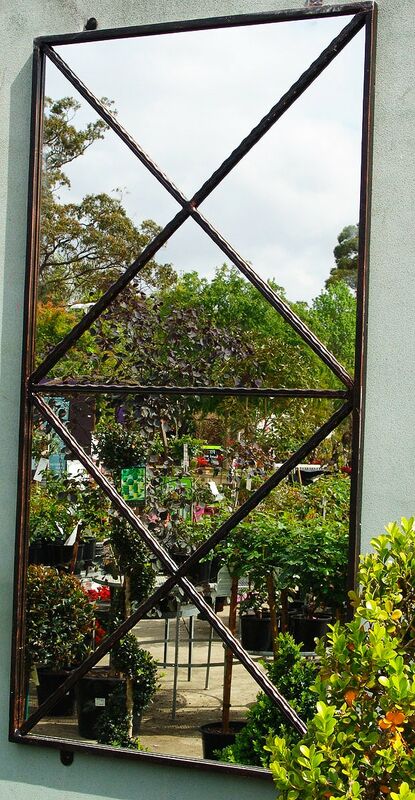 This garden mirror is perfect for brightening spaces where you need more light or style. 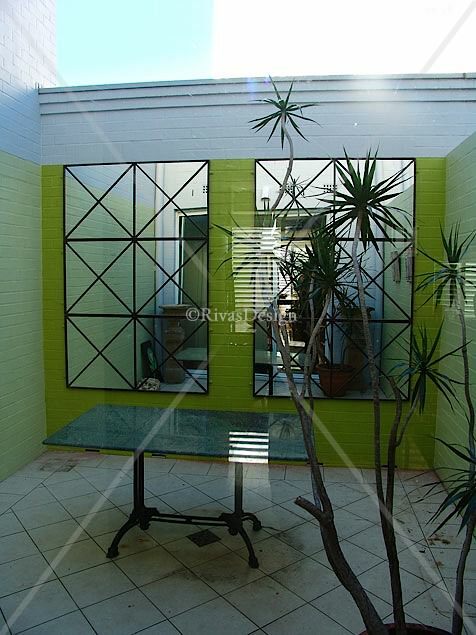 Designed as a repeat pattern, allows you to use one or multiple mirrors to suit your exact space. 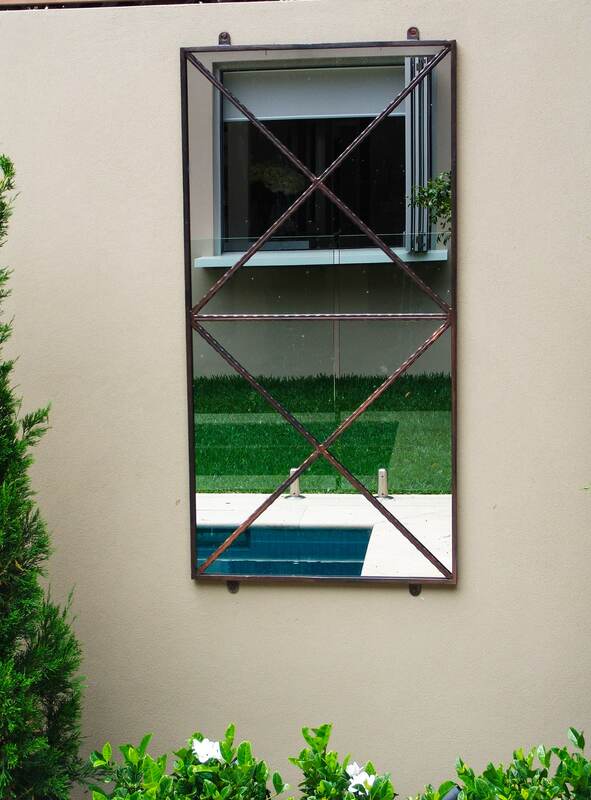 This simple geometric design frame offers elegant style and maximises mirror reflections. 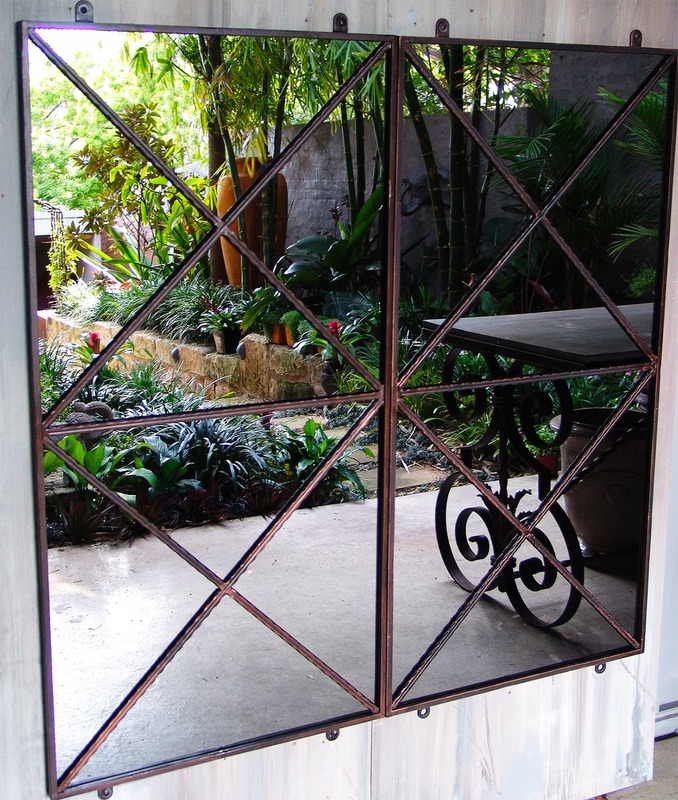 Made in solid wrought iron - then galvanised so that it lasts outdoors. Available finished in black or black brushed with copper - with non-glare mirror. Delivered Australia wide - ready to hang | Sydney| Brisbane | Melbourne | Adelaide | Perth. 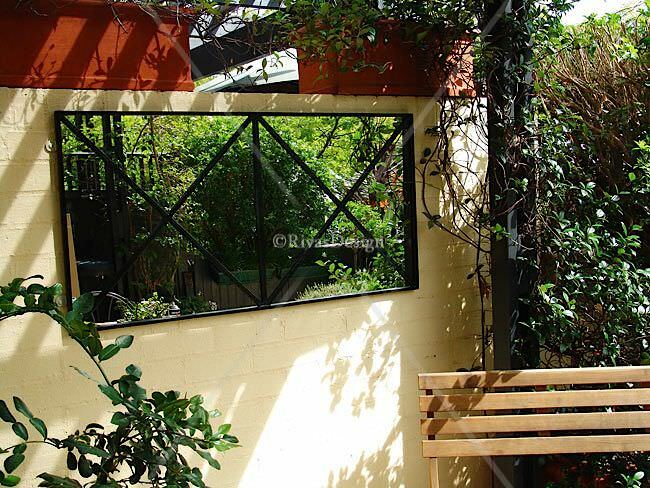 Click to see the larger version of this garden mirror.